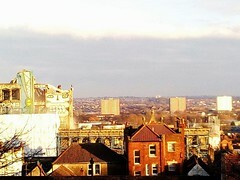 In early 2011 local residents started discussions with Bristol City Council to ensure that the dereliction of the Westmoreland House and Carriageworks site would be addressed. It was decided to prepare a Community Vision for the site as a way of expressing the ambitions of the local neighbourhood. This would then be used to find a suitable developer. A Stakeholder Group made up of local residents, organisations and businesses was established to oversee the process with a smaller Contact Group being responsible for more detailed involvement. In August, using funding from the Homes and Communities Agency, 2md Regeneration Ltd was appointed to lead the process of consulting on and writing the Vision. Throughout, volunteers from the local community formed an essential part of the process. A press call resulted in coverage in local newspapers, radio and television. A Leaflet and questionnaire was delivered to approximately 7000 local households. 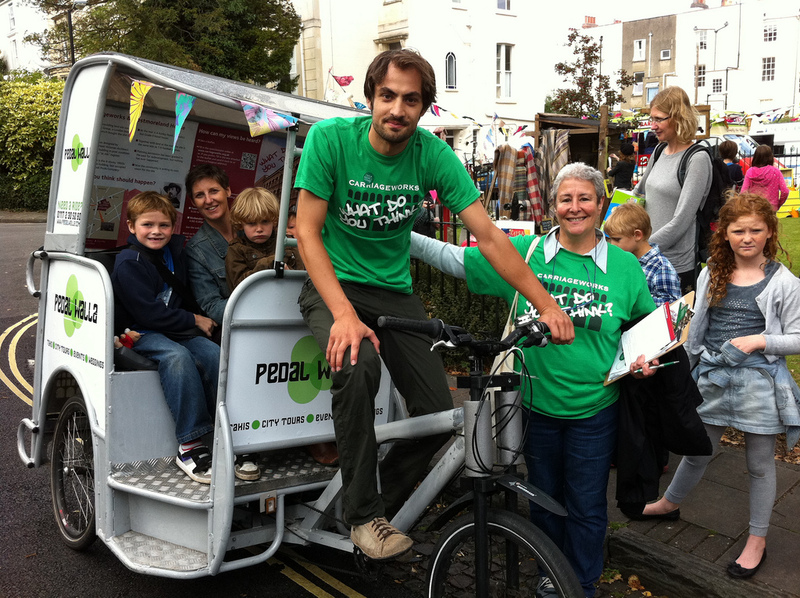 A rickshaw provided by Pedal Walla was used to advertise the consultation and attract people at events. Social networking using Facebook and Twitter promoted the consultation. Regular emails were sent out to a mailing list that grew to 650 addresses. Drop-ins staffed by volunteers and 2md Regeneration were held on 29 September and 4, 6, 12 and 14 October. Street surveys were carried out on 17 September and 14 October. Voxpops were recorded in the final week of consultation and published on the website. Many local businesses, especially retail, were directly approached for their response to the survey. Phase 1 of the consultation ran for four weeks and ended on 15 October. In all there were 1436 responses to the survey plus additional emails. The responses were analysed with the raw data made available on the Carriageworks website. A workshop for the Contact Group and additional people from the Stakeholder Group was held on 4 November with the aim of starting to develop the final vision. This included a tutorial delivered by the University of the West of England on how to assess the viability of a property development. The workshop found consensus in ideas for how the site should be developed. vote on 8 draft vision statements that condensed the aspirations stated in the first round of consultation. Phase 2 of the consultation ended on 7 December. The Community Vision was then amended and this final version approved by the Stakeholder Group on 15 December 2011.